The Department of Housing and Urban Development (HUD) on Tuesday proposed a revision to a previously announced proposal that aims to change the certification requirements for Federal Housing Administration-approved lenders. For lenders who remit loans to the FHA, the revised proposal would require that in order to become eligible for FHA insurance, lenders will have to certify that their firm and its principals were not “debarred, suspended, proposed for debarment, declared ineligible, or voluntarily excluded from covered transactions” by any federal department or agency. Lenders will also have to certify that they have not, within a three-year period preceding this certification, been barred from any federal agency or convicted of fraud or any criminal offense, including embezzlement, theft, forgery, bribery or falsifying documents. The proposed certification is open for a 60-day commenting period starting September 1, with HUD anticipating the changes going into effect in early 2016. 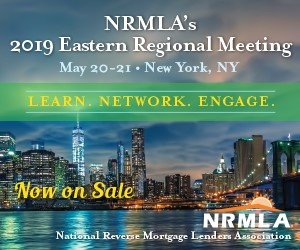 While the comment period was appreciated by certain mortgage industry trade groups like the Mortgage Bankers Association, which issued a statement on Tuesday, the proposal itself left more to be desired in terms of protecting lenders from possible enforcement actions. Stevens did, however, raise some concerns regarding the proposal’s language, saying that is “lacks clarity as to the insurability of a loan and doesn’t embody a reasonable diligence standard for FHA underwriters,” or allow for an opportunity for lenders to correct mistakes.